The Breslin's onion and bone marrow soup. 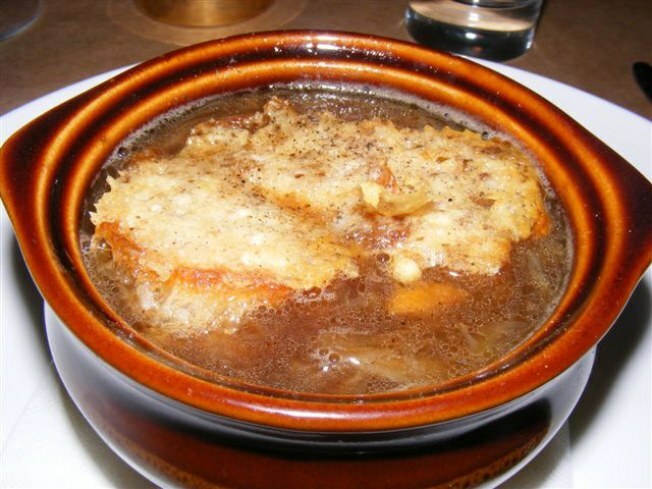 What: The onion and bone marrow soup ($10) with parmesan toast. Start with a Venn diagram involving French onion soup, boeuf bourguignon and roasted bone marrow; the overlap is this meaty result. With every drain of your spoon, there’s a coating of fat left on the metal. Try not to think about this same thing happening to your insides, and you’ll spend some of the most tastebud-dazzling minutes of your life.